Computer software and books are set to follow the path of CD's which had parallel import controls abolished in 1998. This leads the way to opening the Coinop industry to the world through parallel imports. Currently in Australia an exclusive rights policy exists where a distributor is able to negotiate with a manufacturer exclusive supply and distribution of product (or full range of products). Problems then arise if the prices charged by the distributor is well above the market value or in some cases, the distributor is not planning to import and distribute a particular game, however at the same time will not allow anyone else to import this product. 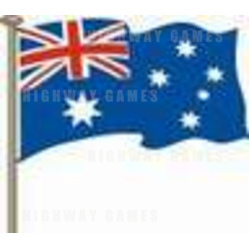 It will now be up to the local associations to show a leading hand, some unity and also authority and use the precidents set in similar industries to open the Australian market.